Necessity is the mother of invention. Or, tun yuh han an mek fashion, according to the Jamaican saying. While President Donald Trump, the most controversial modern day President of the United States of America, is happily living his world of tweets, there are many people in America who are wishing that they could experience one drop of poop from a tweeting bird above for good luck. Healthcare costs, high costs of living and exorbitant rent have redefined the lives and living conditions of many. Should things continue on this path, America, the land of plenty and prosperity, will perhaps become a land of nomads, shared living spaces like a modern day office which will allow people to sleep in shifts according to roommates’ work schedules. Low income tenants across New York State are the most likely to become homeless. There are tenants who are paying more than half their income towards rent. The slogan “one paycheck away from being homeless” attracts legitimacy. Landlords are tone deaf to the plights of the tenants as they also fall in line to complain about high property taxes and the upkeep of their properties. The slum landlords lack scruples and moral values when it’s time to collect rent from the tenants who occupy their leaky, insect and rodents infested dilapidated apartments and houses. Failure by any tenant to pay rent will lead to eviction which can be devastating for those who do not have immediate shelter. From my observation, the residents in Brooklyn have a higher possibility of becoming homeless because it has captured the grand prize for high rent. I take into consideration the strolls I often take in some sections of my Flatbush neighborhood, be it spring, summer or winter. The view is a sorry reality. Any little space between buildings is a nestling place for the homeless and their personal effects. Sometimes an open space on a sidewalk will suffice. If there is time to spare, a conversation with one of the patrons in an eatery is most likely to reveal that the person is homeless. Dandy-shandy politics have left tenants with little hope that the landlord-tenant situation will improve. As a result some Jamaican renters in Brooklyn have taken a proactive approach by downsizing. They have decided to rent a single room and not buy the standard household furniture such as bedroom sets, couches and other large items. Instead they are purchasing barrels and air beds in the event they are evicted. The items are inexpensive and easier to remove from their apartments. Furthermore, there will be no high storage fees to pay. 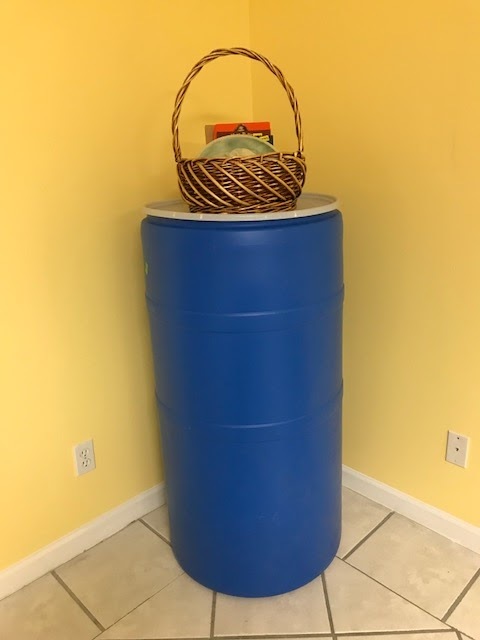 Barrels are appropriate for storing items, giving the room a neat and spacious appearance. The air bed is a great idea. Inflate and deflate as you please. Without batting an eye I hurriedly purchased one. 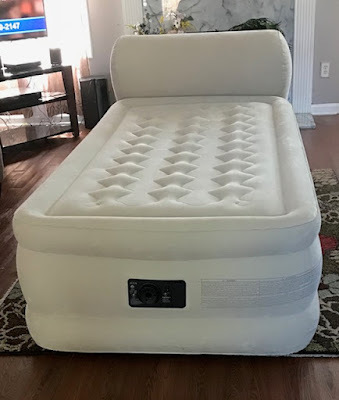 It is comfortable and most suitable for me on the run, especially having discovered that a coil or spring mattress leaves me in medical jeopardy. Given the spotlight on the exquisite goodness of the air bed and barrel, I cross my fingers that merchants will not be like greedy landlords. If they do, Jamaicans are never without solutions. They always have a plaster to fit every wound. Tah-tah! “Cleverness is better than strength”.